Lady Gregory's Comic "Spreading the News". Reproducing Stereotypes? The comic play Spreading the News is a short one-act play which was written by Lady Augusta Gregory for the opening of the Abbey Theatre in 1904. It is said to be one of her most successful plays. The play deals with an unusual situation which happens in a rural place in Ireland. Unusual is not only the situation in the plot but also the ending of the play and the characters. It seems like Lady Gregory depicts many Irish stereotypes in the play. However, she doesn’t make the characters look funny or ridiculous. Because of this, many questions arise, for example: If and how Lady Gregory really reproduces stereotypes and why she wrote the way she did. Thereby, the first question is the most interesting one in the context of Irish plays, as the 20th century marks a new sense of national identity in Irish drama with the opening of a National Theatre. 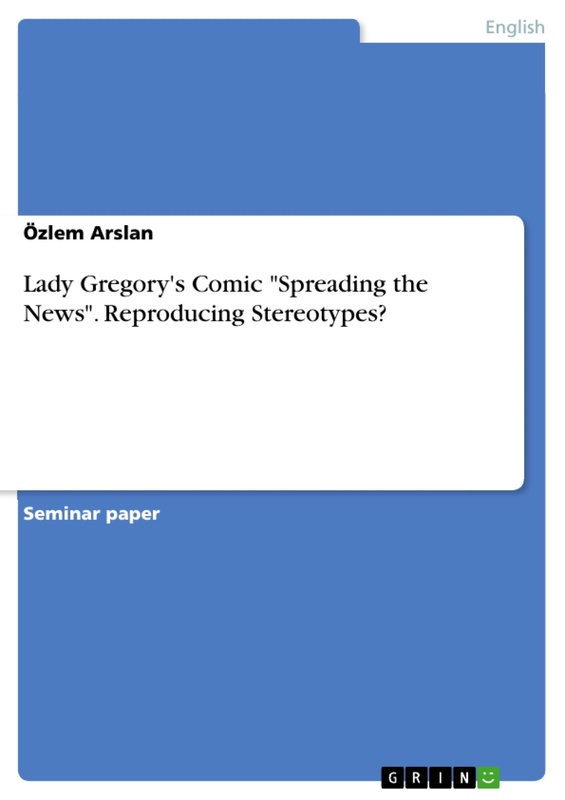 This term paper aims to examine the use of comic elements and its effects on Lady Gregory’s play Spreading the News with the question in mind whether and how Lady Gregory is reproducing stereotypes. Therefore, the paper will begin by defining the genre comedy as a theoretical introduction. For thus the aim, the definition and some of the most important comic characters will be explained. As the focus in this paper is an Irish play, the paper will go on with the introduction of a stage character, namely the stage Irishman, which characterises Irish stereotypes. It is also important to know who Lady Gregory was in order to find out why she wrote in the way she did.  That is why the main part will start with a very short biography of hers. The main part will also contain an analysis of comic elements and the presentation of the stage Irishman in the play Spreading the News. 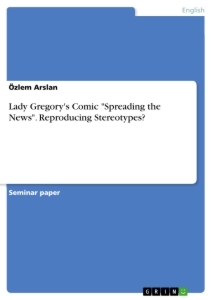 There will be an accentuation on stereotypes and what the presentation of them provokes in the audience to discuss whether the aim is fulfilled or not. Finally, the paper will also contain a conclusion in which the results will be summarised. Demastes says that “Comedy presents men as worse than in actual life, ludicrously ugly, though not precisely morally bad” (Demastes 11). His definition of comedy draws back on Aristotle who explained comedy as a light themed genre in which minor people are represented as laughable or ugly (Baumbach/Nünning 29). Even though comedy is related to enjoyment and laughter the aim of comedy is not only to serve the purpose of amusement but much more to serve a didactic purpose (Baumbach/Nünning 29). The actual function of creating laughter is to make the audience recognise social dysfunctions and make them think or review that after the play (Baumbach/Nünning 30). A deeper look into the genre shows that comedy can be subdivided into different types. Such as the ‘comedy of humours’ which is based on the theory of medieval medicine that there are four health essential fluids (Stott 45), the ‘Comedy of Manners’ from the 18th century which deals with the higher class (Baumbach/Nünning 33), the ‘Sentimental Comedy’ from the 18th century which has a “more sincere and moralizing tone” (Baumbach/Nünning 33), and the ‘Tragic Comedy’ which is a mixed form of comedy and tragedy (Baumbach/Nünning 34). These forms of comedy derived from an older form of comedy, namely ‘New Comedy’. As it might be expected, from the word new there is also a form of comedy which is called ‘Old Comedy’ or ‘Aristophanic Old Comedy’. According to Stott, ‘Old Comedy’ deals with political topics (Stott 42). In contrast to that, ‘New Comedy’ which derived from the Greek dramatist Menander deals with more private topics and themes as love stories (Baumbach/Nünning 32). In short, one can see from these forms a conversion from the public to the private sphere of life (Stott 43). In addition, to the establishment of the private sphere through new forms and genres, ‘New Comedy’ also introduced stock characters to comedy (Baumbach/Nünning 32). In order to understand their function, there is a need to have a look at the plot as comedy sets a focus on the plot (Stott 42). The plot consists of themes from the everyday life which mostly show unusual and humorous circumstances, like a struggle that emerges by actions of a folly, in which the protagonist is but it can eventually lead to a happy end (Baumbach/Nünning 30-31). As a result, the characters in the plays have to be adjusted to the plot as it is in the limelight of the play and its audience and this is done by the use of stereotypes and one-dimensional characters (Stott 41). The word stereotype indicates the view of a person on a group or himself, which is based on simplified, schematized or widely believed ideas (Nünning 2008 679). Thus, stock characters are drawn on cultural stereotypes and show either general or negative assumptions which are being perceived by the audience by their behaviour, ethnicity, gender, personality, social class, and use of language (Baumbach/Nünning 105). Therefore, language is one of the most important tools in a comedy since it defines what and who a decent person is and therefore how and from whom social norms are defined (cf. Demastes 16). “Alongside stereotypes, the predominant figure of comedy is the fool” (Stott 46) who is usually portrayed by a low commoner (Stott 47). Shakespeare for example, distinguished between two kinds of fools: the ‘natural’ fool, an unwitting character, and the ‘artificial’ fool, a more skilful fool or clown character (Bevis 67). In contrast to the fool, the folly is a character who is willing to believe in made-up stories (Stott 48). The last character that is important for the context of this paper is the trickster, who is a buffoon character that can cross lines between living and dead (Stott 51). After looking at the aims of comedy and the characters in it, the paper will now focus on a character who appears not only in English comic plays but also in Irish comic plays. This character is called the stage Irishman. The stage Irishman is one of the toughest ethnically bound stage types (Kosok 65). In other words, means he represents Irish stereotypes. He is usually presented as a nationalist person with a funny name and money problems who cannot master neither the English language nor the English logic and his most common features are litigiousness, chattiness, bibulousness, unreliability and bragging (Kosok 66). But how did this character develop in the first place? Firstly, we have to make a distinction between two types of stage Irishman: the stage Irishman on the English stage and the stage Irishman on the Irish stage. The stage Irishman on the English stage showed Irish stereotypes (Trotter 9). The first Irish people on the English stage appeared in dramas of the English playwright Shakespeare in the17th century and had undergone a development from a strange person to a clown figure from then on (Kosok 65). One question that arises is, what caused the negative connoted representation of the Irish in England. One reason for the would be the several wars between England and Ireland (Truninger 81). Equally important, is the extension of the anti-Irish propaganda by Irish playwrights themselves (Kosok 65). As there was an Orientation in theatre towards England, Irish playwrights tended to impersonate their countrymen ridiculously in order to integrate themselves with the English audience (Kosok 61-66). The stage Irishman of the English stage was criticized in the nationalist press of Ireland in the 20th century (Trotter 9). During that century, there was a change in the cultural and political awareness and this led to the establishment of an Irish theatre, the Abbey (Truninger 81). One of the important issues in Irish drama was authenticity (Grene 6). The aim of every dramatist in Ireland was to show the most authentic Ireland and express real Irish mentality without stereotyping (Grene 6). In other words, their aim was to wipe the image of the stage Irishman out (Trotter 15). On the contrary, they were accused to have created another type of stage Irishman (Truninger 82). According to Grene, the problem is that “What is one play’s authentic spokesman becomes the play’s stage Irishman, acting out false stereotypes of foreign expectations.” (Grene 7). Obviously, this has to do with the viewers’ concept of an authentic Ireland. In order to gain a better understanding of the concept of comedy and the new stage Irishman, Lady Augusta Gregory’s comic play Spreading the News which was performed at the opening of the Abbey theatre and will be analysed in the following. Before analysing the play Spreading the News on its comic elements and the stage Irishman, it is essential to know who Lady Gregory was. Lady Augusta Gregory was born as Isabella Augusta Persse at Roxborough in County Galway and was the daughter of a Unionist (Kearney 134). She was educated privately and was sympathetic towards Republican views (Sternlicht 34). After her husband who had been a member of the parliament died, Lady Gregory met many writers who shared the idea of an Irish Literary Revival with her, which means the welcoming of Irish culture, art and language in literacy (Kearney 134). She is most known for her work as an Irish woman playwright and the co-founder of the Abbey Theatre (Sternlicht 36). This short biography already shows Lady Gregory’s politicisation and that had also an effect in her works as a playwright. Lady Gregory explained that by writing the comic play Spreading the News she only served the need of the Theatre. However, it ended up being her most successful play (Cusack 82). But what was it that made it so successful? In the following, the paper will concentrate on comic features of the play Spreading the News. Such as the plot, the characters, the use of stereotypes, the language and the presentation of the stage Irishman. “The idea of the play first came to me as a tragedy.” (Gregory1 ). This is what Lady Gregory wrote in one of her Notes on her comic play Spreading the News. She was inspired from things out of real life like a young girl whose reputation was being damaged by a chance word and a melancholy man (Gregory2 ). The reason why she then wrote it as a comedy, she explained as being ‘forced’ to do so (Trotter 27). Her comic play Spreading the News was written for the opening of the Abbey Theatre in 1904 (Kearney 134). It is a one-act play that is set in a fictional village, named Cloon, in rural Ireland. The play is set at a local fair and deals with misunderstandings caused by an old woman with a hearing impairment and a villages’ willingness to believe and spread false news. This results in the false accusation of murder and arrest of the character Bartley Fallon by the English magistrate who is very suspicious and expects the worst from the people in the village. At the beginning of the paper, it was said that comedy is plot driven. However, Weitz argues that the comic situation in Spreading the News is achieved by the ‘humour of situation’ but driven by a ‘humour of character’ (Weitz 145). One can explain his argument by looking at the unusual events that happened. There are two major misunderstandings which are caused by different factors. The first misunderstanding is caused by Mrs Tarpey, who is an old woman with a hearing impairment. When the character Jack Smith forgets his hayfork at the fair, Bartley Fallon rushes to bring it back to him. After he leaves, Tim Casey appears asking for him but what Mrs Fallon tells him causes a big misunderstanding. 1 In: In: Gregory, Lady. Selected Writings. Ed. Lucy Mcdiarmid and Mauren Waters. England: Penguin books, 1995. 2 In: In: Gregory, Lady. Selected Writings. Ed. Lucy Mcdiarmid and Mauren Waters. England: Penguin books, 1995. 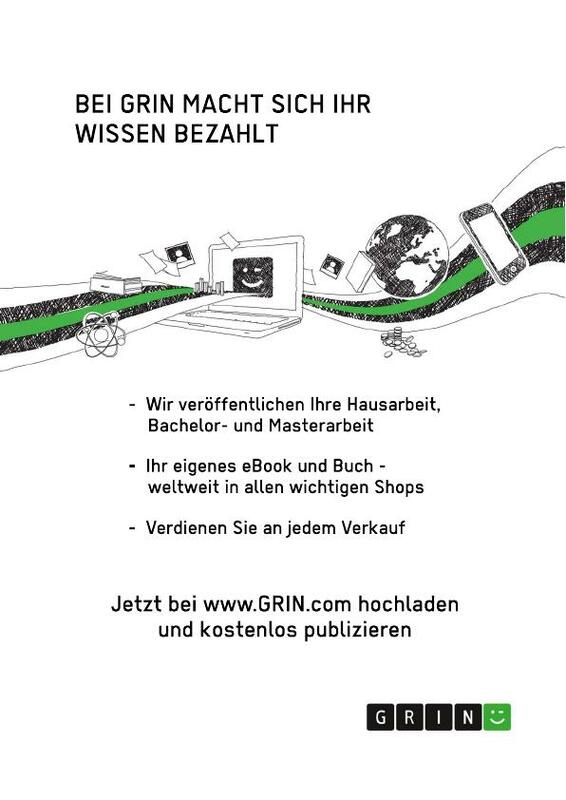 Eine Hausarbeit zu Lady Gregorys erfolgreicher Komödie Spreading the News. Erforscht wurde wie Lady Gregory Gebrauch von Vorurteilen in ihrem Theaterstück macht und wie diese wirken. Humor in Comic Strips: A pragmatic Analysis of "Nemi"